An event to help raise awareness of where to buy and how to cook local game meat in the Lammermuirs saw Brian Grigor, executive chef consultant for Albert Roux OBE at the Roux Group Scotland, conduct a cookery demonstration for guests at the Dryburgh Abbey Hotel, a magnificent country house hotel in St Boswells in the Borders. 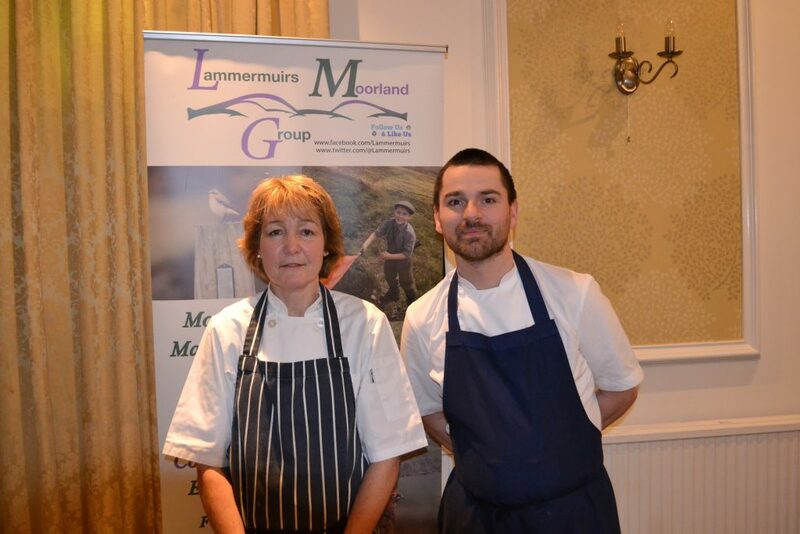 Launching its ‘Moor to Eat’ campaign, the Lammermuirs Moorland Group organised the Game Dinner last night (Tuesday 27 November) which was attended by 60 guests including gamekeepers, game dealers, experienced game chefs, local restaurants, hotels and businesses. The menu included game canapes, pigeon roulade, partridge bonbon, roast grouse breast, grouse leg confit; with desserts including whisky and heather honey parfait. Wild game charcuterie was provided by Andersen & Sondergaard of Eyemouth and Tweed Valley Venison provided the venison. Brian Grigor has been supporting the Lammermuirs Moorland Group for some years now, highlighting the ‘hill-to-plate’ credentials of grouse and game meat. Brian is passionate about cooking with game having grown up with both his father and grandfather being gamekeepers on grouse shooting estates in the Lammermuirs. Brian became the UK’s first ever Game Chef of the Year in 2011. Brian, who was previously the executive chef at the Michelin-starred Restaurant Number One at the Balmoral Hotel, demonstrated cooking a Michelin-starred dish and talked about how more restaurants are using game on their menus in recent times, also answering questions from the floor including how long to hang game for before cooking. “I cook with fresh, local produce whenever possible and I can’t wait for the start of the game season each year when I can feature grouse, pheasant and partridge in my menus. Consumers are now eating far more conscientiously, choosing produce in season and there has been a real surge in consumers’ appetite for game. 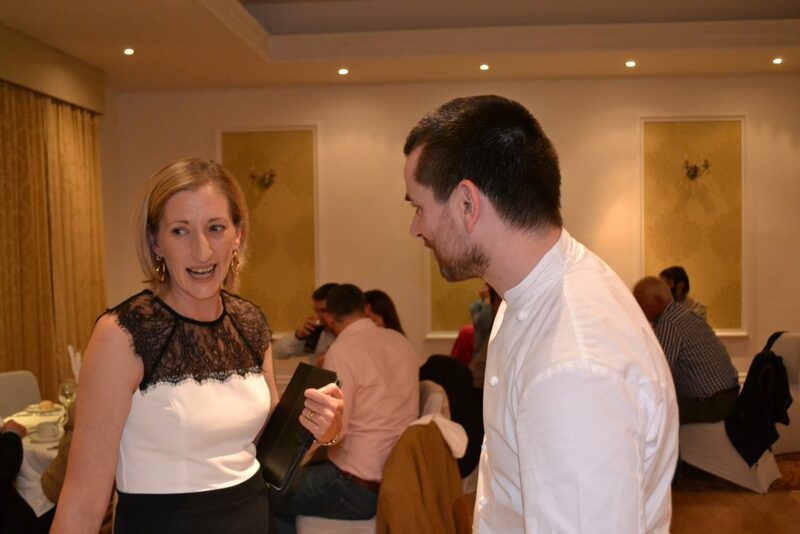 Events like this are great at bringing together local outlets and business owners who may otherwise not have given game a thought and showing them the wide variety of options that game meat offers” said Brian. Gillian Millar, who has cooked for the Duke and Duchess of Northumberland since 1997, also attended the event, demonstrating how to butterfly a pheasant, and how to make a number of crowd-pleasing dishes perfect for home cooks, such as pheasant fajitas, game schnitzel, and pheasant stroganoff. Ms Millar is also passionate about promoting Scottish produce, especially game. Grouse, pheasant and partridge are all lower in fat and higher in protein than chicken. Many local outlets now stock a selection of game meat sourced locally from estates in the Lammermuirs. Gosford Bothy Farm Shop in East Lothian for example sells ‘oven-ready’ grouse and grouse breasts wrapped in smoked streaky bacon. 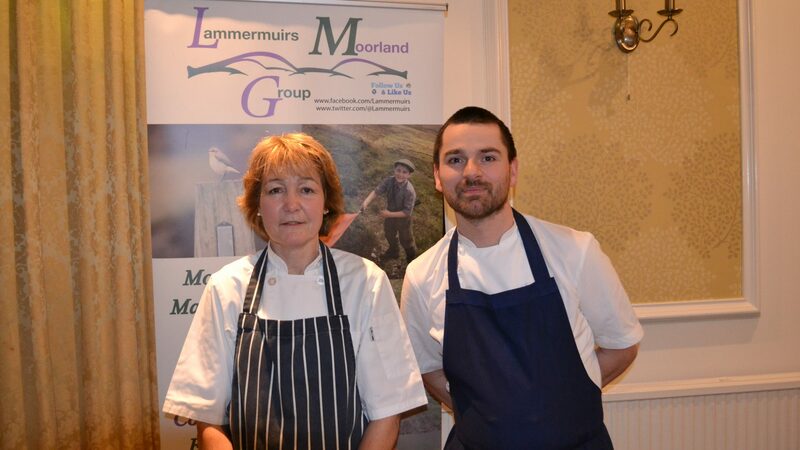 Helen Savage, coordinator of the Lammermuirs Moorland Group, said: “It is vitally important that we educate local retailers and restuarants on the availability of fresh sustainable game meat sourced from local estates in our region and that’s why we have launched our ‘Moor to Eat’ campaign.